Lady Salisbury launched this book on the occasion of Dame Elisabeth’s 98th birthday. It provides the story of the garden and the farm as it has developed. 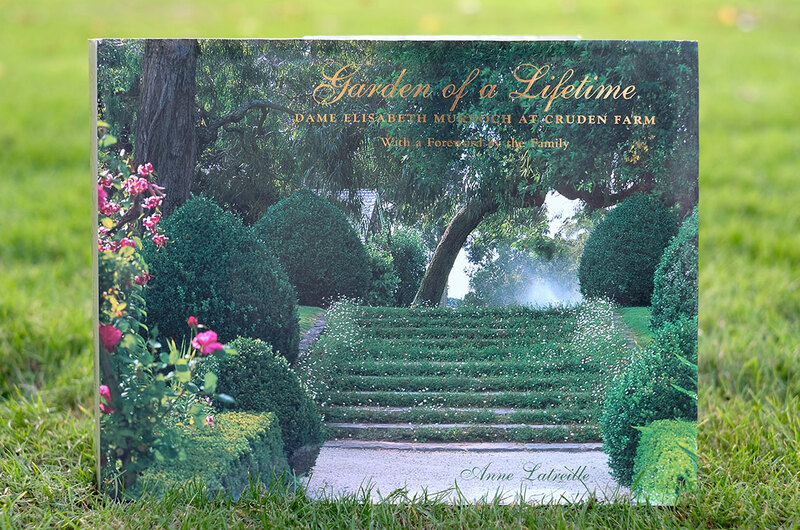 It features an array of stunning photographs of Cruden Farm, as well as insights into the Murdoch family and their experiences at the property over 80 years.